This Amish Coffee Table has an airy feel that will help to bring lightness and style into your living room. It is available in a wide variety of hardwoods such as oak, brown maple, rustic cherry, cherry, quarter sawn white oak, rustic quarter sawn white oak, hickory, rustic hickory, hard maple and walnut. 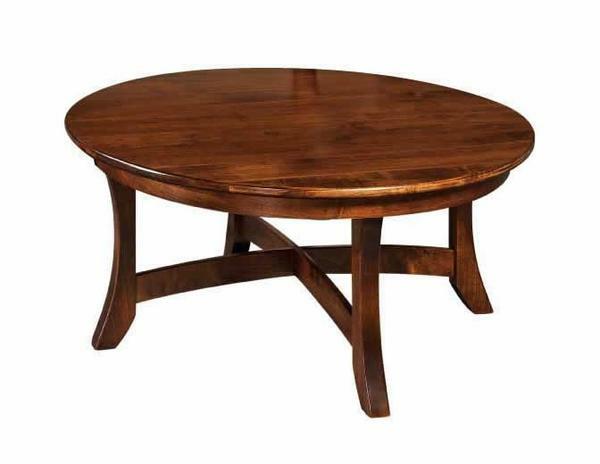 Please call with questions on this Amish round coffee table.